• 6707 Brooklawn Pwy. : The 8,000 s/f office building was sold to Bowers Development LLC for $335,500. Donald O’Leary of C&W/Pyramid exclusively marketed the property, and represented the seller, while David Carnie represented the buyer. • 7706 Maltlage Dr., Liverpool: Roofers Local 195 purchased the 6,315 s/f property for $335,000. William Evertz and Gary Cottet of C&W/Pyramid exclusively marketed the property and acted for seller, Robert Daucher. • 697 Main St., Arcade: Lee Salvetti of C&W/Pyramid exclusively marketed and brokered the sale of a 6,889 s/f property. 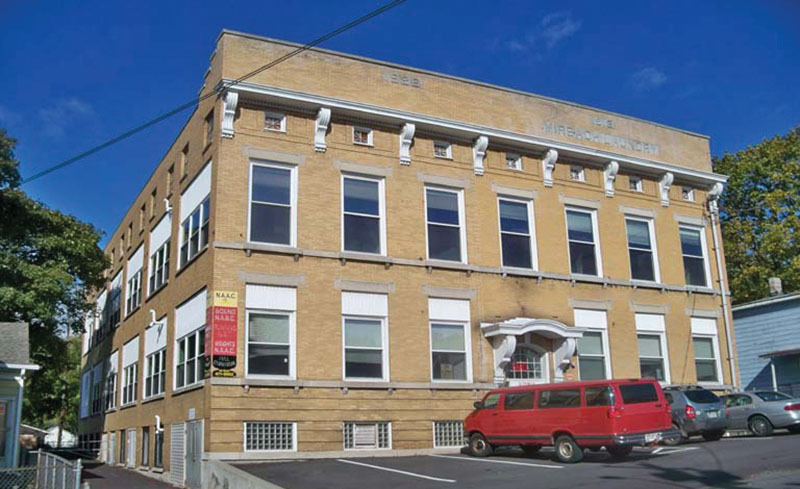 Cottet represented the buyer, Arcade Properties LLC. • 4582-4594 Buckley Rd., Liverpool: Samuel Vulcano of C&W/Pyramid brokered a 12,000 s/f industrial warehouse lease to APT Global Sales, Inc.
• 7 Salina St., Baldwinsville, and 6832 Genesee St. East, Fayetteville: 7 Salina St. was sold to Brian Kalfass for $155,000. 6832 Genesee St. East was sold to Ed Perry for $325,000. Evertz exclusively marketed both properties and facilitated the sales acted for the seller, Sonbyrne Sales Inc.
• 507-509 Pond St.: The 21,330 building was purchased by Masjid Bilal for $300,000. Don O’Leary and John Sposato exclusively marketed the property and acted for seller, North Area Athletic Club. • 1836 Fayette St. West: Modular Comfort Systems purchased 6,180 s/f for $350,000. Patrick Hillery of C&W/Pyramid exclusively marketed the property and acted for seller, Community Resources for Justice. • 117 Game Rd. : Syracuse Mosiac Terrazzo sold the 10,800 s/f warehouse to Christopher Community, Inc. for $450,000. Cottet acted for the buyer. • 8501 Oswego Rd., Baldwinsville: CMC Associates purchased eight acres from Joseph Marlow for $142,500. Cottet represented the buyer. • 6171 Molloy Rd. : The 5,500 s/f industrial flex building was sold by Mollywood Properties Inc. for $275,000. O’Leary exclusively marketed the property, and represented the seller. • 210 Orchard St., Fayetteville: A 4,131 s/f commercial building and a single family home was sold to Joshua Gordon from Nicholas Bellanca for $190,000. Stephen Scuderi of C&W/Pyramid exclusively marketed the property, and represented the seller. Michael Kalet acted for the buyer. • 120 Westmoreland Ave.: The 2,624 s/f building was sold to Khaled Al Zurqa from Upstate LLC-RB Woodcraft for $100,000. Troy Bullock of C&W/Pyramid exclusively marketed the property and acted for seller. • 938 Water St., Watertown: The Thousand Islands Area Habitat for Humanity purchased the property for $200,000. Christopher Clark of C&W/Pyramid exclusively marketed the property and acted for the seller. • 22252 US Rte. 11, Watertown: The 3,716 ± SF building was purchased by Home Properties LLC for $160,000. Clark and William Colucci of C&W/Pyramid exclusively marketed the property and acted for seller, Chesapeake Holdings WW, VI LLC.